Not always you have to rely on chemical based prescription medicine. 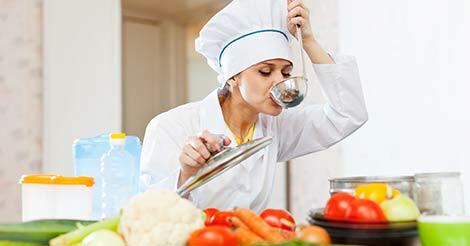 There is plenty of health hidden in your kitchen cabinet. Peep in and take out! These little seeds, also known as “alsi” in Hindi, look similar to sesame seeds; slightly bigger in size. They have a warm, earthy and nutty flavour. A natural sweetener, honey has been used since ages in home remedies for treating several ailments and conditions. It possesses effective antibacterial and antiseptic properties. In most probability, India gave this wonder spice to the world. This must-have spice in every Indian household is a strong anti inflammatory and anti-septic. Potent anti inflammatory and antiseptic. Useful in disinfecting cuts and burns. Jackfruit or kathal, the largest tree-born fruit is full of health and goodness. Not only it is used in making tasty dishes, several health benefits can also be reaped out of it. Even though it is snubbed continually because of its pungent smell, the health benefits of this wonder vegetable are incomparable. A stable in most non vegetarian dishes, garlic is used abundantly in most cuisines. Our kitchen has the health treasure in form of many foods; in fact, there are natural ingredients on which you can use. Garlic, curd, honey, flaxseeds and many more food items are magical to improve your health. You may include them in your diet and try to replace the chemical supplements. Eat healthy, work out daily and don't miss your regular preventive health checkup and you won't have to worry about your health. A master health check up package helps to keep a proper track of your health and assists in identifying various risk factors at an early stage. Wish to discuss any queries about health checkup, fill up the form below and our representative will get back to you.